There are types of bed to suit all interior styles and personal preferences. So, if you’re looking for a new bed and are struggling with where to start, read on to discover our guide to Britain’s favourite bed type: the divan bed. Combining functionality and style, you’re sure to want to consider this gem for your bedroom. 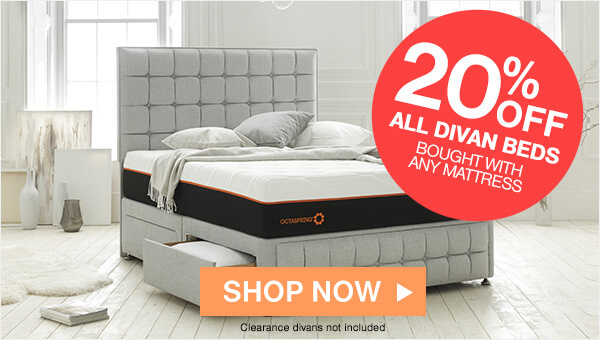 What divan bed base is best? What are the advantages of having a divan bed base? What are the storage options for divan beds? A divan bed is one of the most popular and simple bed types. The base takes the form of a timber frame, which is typically either painted or upholstered in fabric. In most cases, the divan bed base comes with a mattress. However, it’s possible to buy these separately if you prefer. Divan beds are compact and usually offer storage solutions, making them great for small spaces. They're also extremely versatile, as they can be customised with your choice of headboard and footboard. Which divan bed base is best? There are two main types of divan bed bases to choose from: platform top and sprung top. Constructed with a wooden frame, these bases are sturdy and usually have a hardwood top panel with a layer of padding. 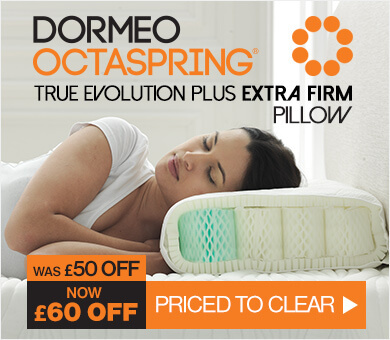 This makes them ideal for those who suffer with back pain and need more rigid support when they sleep. With a unit of springs attached to the base, these bed bases are more gently supportive and flexible. 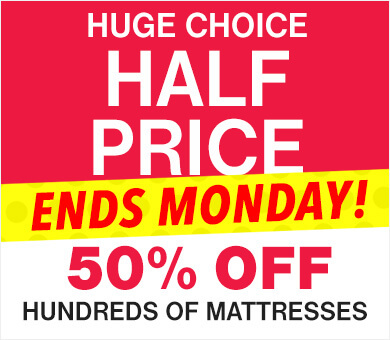 Although they are a little more expensive, they can make your mattress last longer, so are a good way to get value for money. Personal preference and requirements will dictate which type is best for you. So, when picking your new divan bed, be sure to consider the level of support and firmness your body (and your partner’s, if you’re sharing) will need while you sleep. What are the advantages of having a divan bed? Great for storage: Divan beds offer a range of storage options, from pull-out drawers to a lift-up ottoman design. This means even the smallest of bedrooms can benefit from maximised space and less clutter. Use the former for smaller bits and bobs, and the latter for larger items like spare bedding and duvets, for a tidy bedroom that will aid your sleep. For more information on this, read our blog post on cleaning your bedroom for a better rest. Compact: Divan beds are extremely compact: the base is usually the same width and length as the mattress, and there’s no need for a headboard or a footboard. This leaves you with more room to manoeuvre — especially helpful in smaller rooms. It also gives them a minimalistic look. Customisable: Although you can leave them off to save space, there is the option to add a headboard and footboard to your divan bed. As well as being a practical option, this allows you to easily customise the look of your bed. Easy to transport and assemble: Their simple shape and compact size make divan beds relatively easy to move. They’re also simple to assemble, making them a convenient option when it comes to moving or redecorating. The classic divan bed has pull-out drawers embedded in the base, but there are now more inventive options available as well. The right option for you depends on where your bed will be situated and what you'll be storing. If you’ve got particularly limited space within your room, the standard 2 drawer or 4 drawer choice will allow for plenty of hidden storage. This can make it easier to deal with clutter, so your room will look orderly and organised more often. However, if your bed will be pushed up against a wall, you might want to choose one longer drawer to ensure you still get the benefits of underbed storage. Alternatively, you could pick a divan with continental (conti) drawers. These are mini drawers that are ideal if your bed is placed against fitted furniture and will allow you to access the available storage even if you don’t have the room to open up full-sized drawers. Conti drawers will also be a great option if you don’t have that many belongings to be stored. Ottoman divan beds have an easy-lift bed frame that reveals storage space in the base, making them a great option for those wanting to store bulkier items underneath the bed, or who don’t have the space to access drawers. Plus, some people like that there aren’t any drawers to the exterior of their divan bed as this can give a sleeker appearance. However, do be aware that these usually take up more room than divans with drawer storage options due to the lift-up base. If you want to benefit from the comfort of a divan bed but you don’t want or need the storage, divan beds with legs could be for you. These reveal more of your floor to create an illusion of space and are a more budget-friendly option. Alternatively, if you regularly have guests round, you might want to opt for a divan bed with trundle: the lower level (where drawers usually are) pulls out to reveal an extra bed, so you can cater for a busy house. When you spend your time and money finding the perfect bed, it’s only right that you choose some stylish bedding to go with it. Dressing your divan bed in an eye-catching way will make it a beautiful showpiece in your bedroom. Divan beds accommodate the standard UK mattress sizes, meaning you won’t be limited for bedding options. A ruffle-edged pillowcase and duvet set will create a more traditional look, whereas bright and bold patterns, like on-trend tropicals, will inject liveliness and colour into your room. You might even want to incorporate texture with crushed velvet and chunky knit throws. Whatever you choose, don’t be afraid to mix up your usual style to lend your bedroom a new aesthetic. Plus, you can use the storage space for spare bedding, so you’ll be able to quickly grab another set when you want a different look. While the decorative elements of bedding can be more fun to pick out, don’t forget about the more functional considerations when it comes to it, like duvet tog and pillow fillings. For more information about these, check out our guide on the importance of bedding. Specifically created for this popular bed type, a divan bed cover wrap can both protect and transform the look of your bed. Encasing the divan bed base, these clever wraps allow you to switch up your bedroom look in minutes — and as often as you’d like! To add modernity to your room, choose an on-trend colour, like grey, sage or blush. Or, go classic with a deep brown — reflective of dark wood which was popular in the décor of previous periods. With options for non-iron versions, as well as a range of fabric types like sateen and cotton, you’re sure to find the perfect look for your divan bed. Adding a headboard to your divan bed can be the ultimate way to transform an otherwise simple design. So, assess how much room you have and get planning. Think about the headboard’s purpose as well as the aesthetic. For example, avid night-readers and bedtime tv-watchers will benefit from a plush upholstered headboard for maximum comfort to lean against, while those just using it for decoration might opt for a sturdier design. As well as colour choice, there are plenty of style options available. So, whether you’re looking for a segmented headboard or one with vertical lining and decorative jewels, your dream bed look can be catered for. And, as the assembly process is straightforward, all you’ll need is the headboard, the bolts that come with it and a screwdriver. 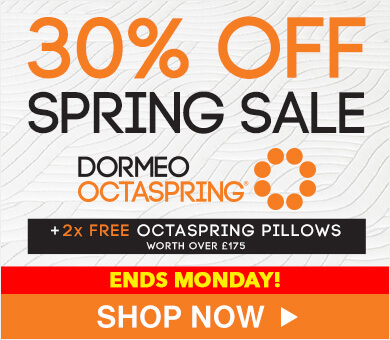 Here at Dormeo, we’ll assemble your divan bed for free upon delivery (which is also free!). If you want the comfort of a divan bed with the aesthetic of a typical bed frame, adding both a headboard and footboard could be the solution. A shallow footboard will complement any divan bed nicely and give your room a lovely cohesive finish when it matches your headboard. Divan beds are a great way to maximise both comfort and space in your bedroom. With a range of options for sizes, designs, colourways and storage options, it’s no wonder why these are Britain’s most popular beds. 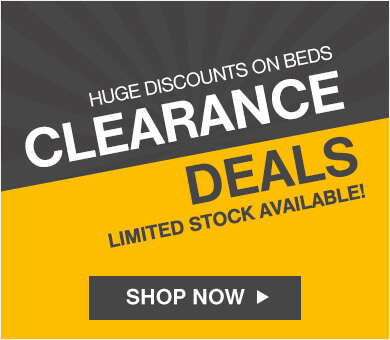 So, if you’re looking for a good night’s sleep, take a look at our range of divan beds. Most come with a mattress and matching headboard, as well as the chance to pick your own bed base colour and storage drawer design, so you’ll get the ultimate personalisation service. 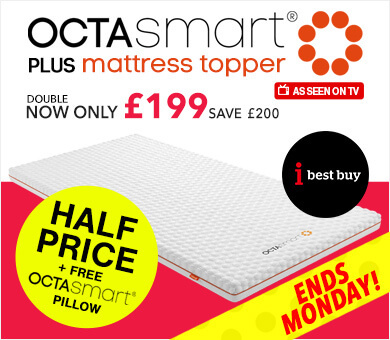 We even throw in free delivery on all mattresses and beds when you order online.